It’s a phrase commonly uttered by humanities students: “I’m paying £9,000 a year for a library card!” History and English students, in particular, are often shocked by the transition from guided A-level classes to the confusion of being given an essay title, a reading list, and a week to do what you will with them. The change can be scary, it’s true – but equally, it is in the nature of these subjects to be quite solitary endeavours. It would be unrealistic, and unsuitable in these fields which rely so heavily on reading, for the undergraduate courses to involve long contact hours. Students cannot be spoon fed content, but given that the courses can be isolating, the History and English faculties need to put serious thought into supporting their students and ensuring that they feel confident in how they’re working. For those who don’t know, the first two years of a History degree are notoriously low-contact. We study just one paper a term, and each week receive an essay title and reading list. After a week of reading, our essay is discussed in a one-hour supervision. Famously, history lectures are entirely optional, so that single hour constitutes the only in-depth teaching we get in the week. In first year, students also have fortnightly classes for a coursework paper due in second year. When explaining this to science students, I am often met with mystification as to how we motivate ourselves to work at all, and this is not without reason. While it can be liberating to be given so much time to dictate our own learning and take each essay in the direction we want to, it can at times be an enormous burden. Not only can it be near-impossible to make yourself work with six empty days stretching out ahead of you, but the experience of spending each week alone with a stack of books in the library can be deeply isolating, especially when repeated for eight weeks straight. There are ways that more face-to-face learning might be added to these more independent triposes. For example, by introducing more of the small-size classes given at Oxford, we could cut down on the amount of one-on-one teaching which currently makes up the majority of contact hours for many humanities students. That said, low contact hours must, to a certain degree, be accepted as a feature of these courses, and it is at this point that the University must do more to prepare students for the isolation that might ensue. Anecdotally, it seems like there are hundreds of humanities students who have suffered from loneliness or even depression due to the solitary nature of library study. When discussing my own loneliness with my college chaplain, he told me that the majority of people who approach him with such issues come from just a few humanities subjects, including my own, History. It therefore has to be the responsibility of the faculties in question to ensure that they provide adequate support for those who might suffer from having so few contact hours. 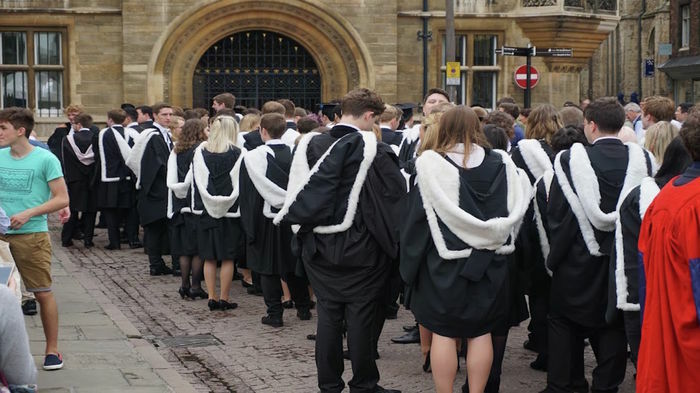 The experience of English students can often be similar – with about three compulsory contact hours a week – but Angus Jackson, a second-year English student at Jesus College, believes that it’s not the contact hours that cause problems, but the way in which the teaching is managed. “Our DoS is really brilliant at making us work together, organising group classes and trips such as going to the Globe Theatre together,” he says, showing that when supervisors are aware of the loneliness that can come with these degrees, and make efforts to mitigate it, they do not have to be so isolating. But welfare cannot be left to the luck of the draw – there must be faculty-wide efforts to prevent and support students suffering from loneliness, and to train staff to be conscious of the potential dark side of these courses. Having very few contact hours is not an inherently negative thing. The notion of ‘£9,000 a year for a library card’ seems symbolic of the increasing commodification of higher education; the implication that our tuition fees dictate how much of our educators’ time we are owed is a harmful one. With subjects like English and History, the value of solitary reading cannot be underestimated. As Jackson highlights, it’s not the amount of teaching that is a problem, but how that time is spent. If our supervisors, DoSs, and faculties make an effort to include group activities and more collaborative study in the syllabus, loneliness does not have to be the outcome of a humanities degree. Our mental health is too often treated as the collateral damage of academic achievement, and it is high time for a coordinated effort to address this.